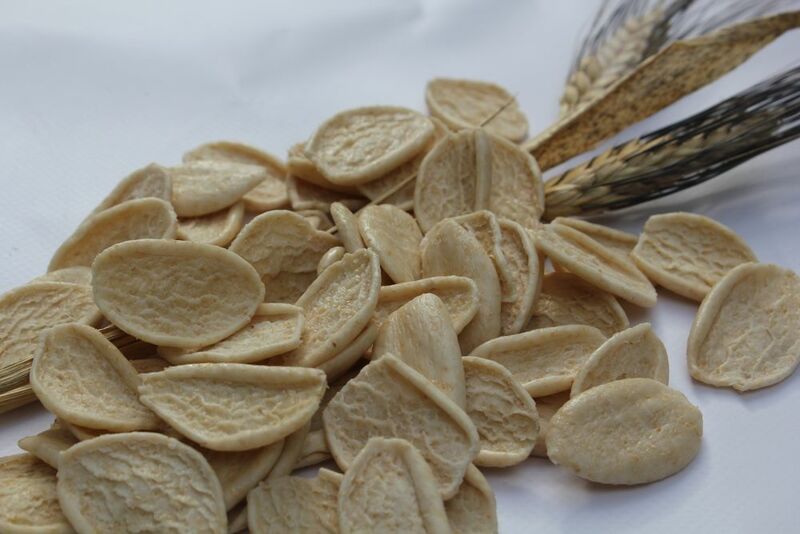 The pasta factory ‘Pastificio Cardone’ at Fasano (in the province of Brindisi) is a small company which realizes the typical pasta of Puglia, by using wheat produced by means of organic agriculture and tracing the entire certified short supply chain. Its project ‘from field to table’ was born in a land rich in hills, with large fields surrounded by dry stone walls. In this land Enzo Cardone, in the early 2000s, decided to start a long and complicated road, beginning again from the past in order to come back to the taste and genuineness of traditional pasta, both fresh and dried, prepared with the pure ancient ‘Senatore Cappelli’ wheat. This is a product for niche markets, outside of conventional commercial channels. In order to guarantee a genuine production process, the contribution offered by 12 local farms is essential. 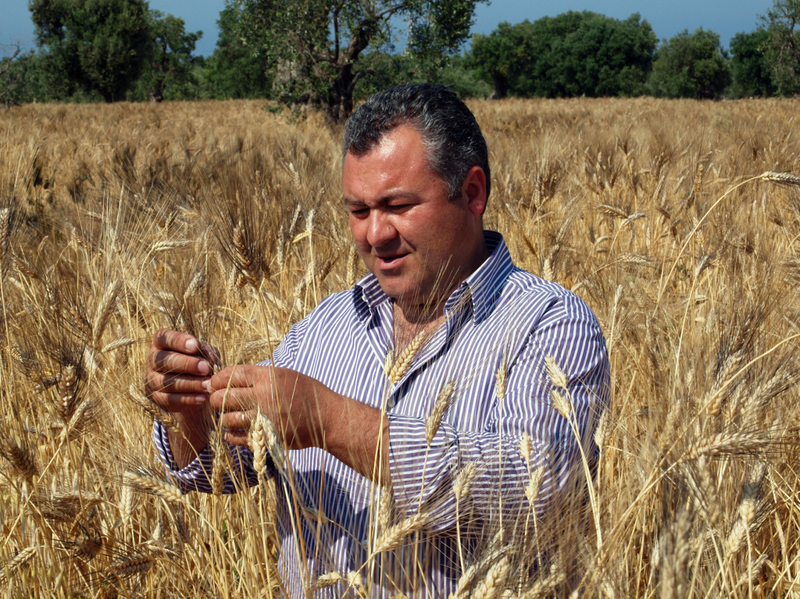 They look after the sowing and the rigorously organic cultivation of wheat, as well as the 3 historical craft mills. 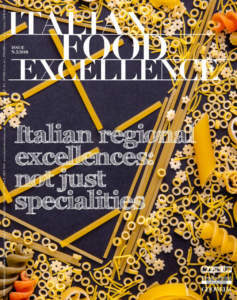 The result consists in authentic durum wheat flour, typical of past times, which in this pasta factory is processed in order to prepare the typical formats of Puglia, such as as ‘Strascinati’, ‘Orecchiette’, ‘Cavatelli’, ‘Maccheroncini al ferretto’, ‘Fricelli’, ‘Maritati’, and ‘Laganari’. The production is of about kg 2,000 of fresh pasta and kg 1,000 of dry pasta per day, mainly required by restaurateurs, delicatessens, and organic food shops. 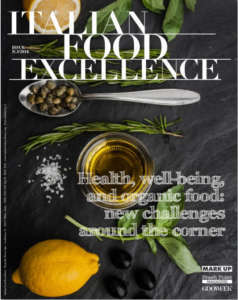 Among the most successful products abroad: the ‘Orecchiette’ produced with organic durum wheat, a typical dry pasta, whose size is about 3/4 of a thumb finger, characterized by its shape, which reminds that of ears; the ‘Foglie d’ulivo verdi’ prepared with organic durum wheat and organic dehydrated spinach, which remind the stretched open shape and the green colour of the olive trees’ leaves of Puglia. Just 5% of the total production of this pasta factory is exported, mainly to Switzerland, Spain, Belgium, the Netherlands, Greece and Germany, but for the future Cardone aim at expanding more outside the national borders, primarily to Russia and Arab markets. 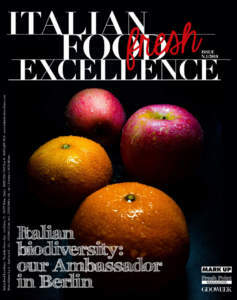 Enzo Cardone, owner of the pasta factory along with his brother Luigi, specifies: «We are currently trying to position our brand in a high-end market, creating an added value. For this reason we are considerably investing in training for our customers, workshops, and guided tours, in order to communicate the importance of quality raw materials. We want to convey the idea of a ​​corporate transparency and genuineness, and we try to do so also through our packaging, by inserting on the labels, in addition to certifications, ingredients, and cooking times, useful information for tracking down the history of all our products, from field to table. Our greatest satisfaction consists in taking note of the good positioning of ‘Pasta Cardone’ in high level restaurants and valuable delicatessens. We will continue on this path: love for our land, desire to do things well, and do good to people, are the values ​​that have allowed us to arrive here, have always accompanied us, and will keep on doing so in the future».